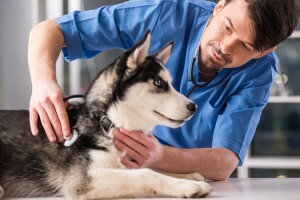 If you are a Veterinarian practice seeking assistance from a collection agency to settle overdue accounts, you will find impressive results with American Profit Recovery. We have served the needs of countless Veterinarians over the years and our team knows your struggles when it comes to getting paid on time. We have a tremendous track record of success and have been recognized as a leader in veterinarian collections. We are currently endorsed by: The Massachusetts Veterinary Medical Association,, and The Vermont VMA and most recently the Texas VMA and the Pennsylvania VMA. We understand that in many cases you respond to last-minute medical emergencies and go above and beyond to care for someone’s pet. Sometimes that leaves clients faced with a cost they did not anticipate. But your practice still needs to get paid. When faced with a client that isn’t responding to statements or calls, having APR manage your late accounts helps take away the awkward situation of approaching late customers for monies owed to your practice. We work hard to develop solutions with your clients to help the practice get paid. We only use respect and diplomacy and that helps retain clients and preserves relationships between pet owners and your practice. APR can step in and increase your profitability by managing your slow-paying accounts receivables and reducing the amount of staff time it takes to collect past due accounts. We leave you in control of your accounts with the APRwebSM on-line portal which gives you access to information anytime day or night. Contact our experts today and find out how we can get you on the road to better cash flow.